Who's ready to curl up in sweaters and boots, and relax with some hot apple cider? I am obsessed with plaids, ponchos, and everything leather, and am super excited for it to finally be cool enough to enjoy the season's trends! 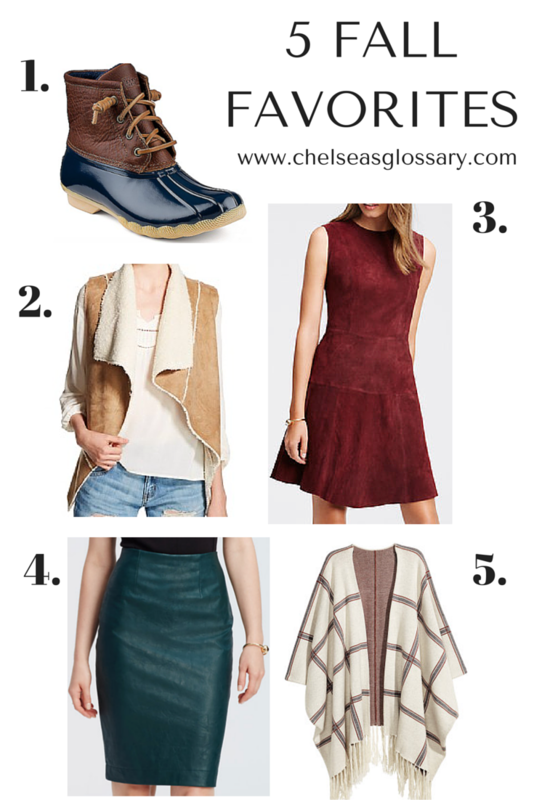 Here are 5 of my favorite pieces to add to your wardrobe this fall.